As part of our commitment to provide ASE members with the very best, we pride ourselves on providing abundant opportunities for peer networking, educational updates, and up to date presentations on need-to-know topics. Monthly complimentary roundtable discussions are designed for members to come together, share best practices, and learn from each other. Discussions follow topics of current interest to HR and general business professionals. Members are invited to contact us at any time to suggest roundtable topics. ASE is dedicated to educating its members about HR-related legislative and regulatory threats and opportunities, before they arise. Our government affairs experts actively track legislative and regulatory developments in Lansing and Washington as they occur. This ongoing flow of up-to-date information is an important benefit of membership with ASE. Hot Button Briefings, usually regarding developments that are particularly urgent, will provide you with an overview of proposed laws or regulatory changes and give you the opportunity to quiz our experts and get the most up-to-date information. 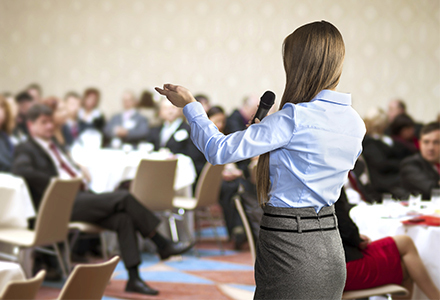 These guest speaker presentations are devoted to topics of interest to the HR and general business community. The discussion subject is always timely and relevant. These events are great opportunities for both ASE members and non-members to network in a professional, comfortable, and information-rich atmosphere. A must attend, full-day conference targeted at HR professionals at all levels. This conference delivers the tools HR professionals need to further develop their organizations’ most important asset: their people. This is the most anticipated one-day HR conference in Michigan. Our Annual Summit is the most anticipated and exclusive Human Resources event in Michigan. For us, it is a time to reflect upon our 100-plus years of existence, and to look forward to what the future will bring with the support of our members. The special evening is dedicated to our members, Board of Directors, and our partners. For all of us, it’s a night of celebration! For you, the Annual Summit, is an opportunity to network with fellow business professionals while enjoying an evening of fine food and refreshments and hear remarks from the keynote speaker. Each year we also honor and congratulate the recipients of Michigan’s HR Executive of the Year. Review all the current laws and regulations that impact the employer-employee relationship in this full-day, hands-on workshop, featuring attorney-led general and breakout sessions. Learn everything you need to know to tackle the challenge of attracting, retaining, and engaging the best talent for your organization. This half-day program features a lineup of expert speakers, time to network with peers, and a guided review of ASE’s Compensation Survey results. This one-day event delivers innovative insights as it showcases progressive talent management practices. Participants will receive guidance on how to implement effective talent management practices along with tools to use in the process.